Dentists who want to grow their implant business can join a new patient website to reach local people with missing teeth. Click4teeth.com is designed to make it easier for prospective patients to find a local implant dentist and get in touch. The website provides an online shop window for practices providing dental implant treatment. For further information contact us on 01672 811778 or pippa@click4teeth.co.uk. 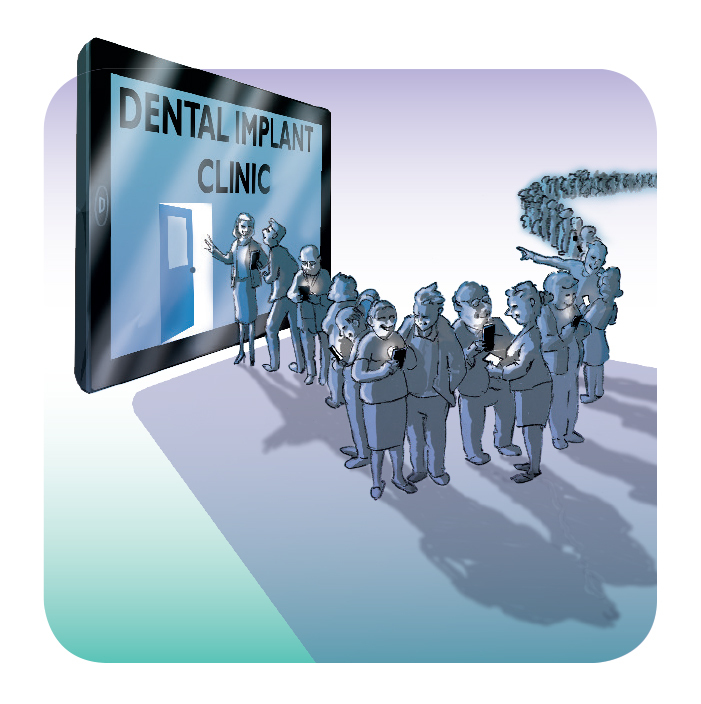 The next generation implant dentists patient website provides online campaigning to drive traffic to individual profile pages and generate patient enquiries. Advice and support to help the practice team maximise enquiry conversion is included. The annual subscription costs less then the average treatment fee income from one extra implant case. An introductory special offer of 12 months for the price of 10 is available to implant dentists wishing to improve their online visibility and profile. Click4teeth is exclusive to dentists who place implants. It is compatible with the latest online devices, which is now essential for high Google search ranking. The pages are optimised for local organic search, with easy-to-use navigation and patient journey. Individual directory pages are limited to featured dentists, providing an easy and inexpensive way to gain new implant patients. The website contains authoritative information, including reviews from real patients. Comprehensive explanation of dental implant treatment options and terminology is available to prospective patients. The latest news, feature articles and case studies provide further insight into this life-changing treatment. Click4teeth.com has been developed by The Niblett Whellams Partnership Limited, trading as Healthcare Specialist Marketing. The website is one of a range of proven packages the company offers to support implant dentistry growth.